The auto industry of Pakistan, which is in the growth stage, consists of a few major players, namely Pak Suzuki Motors, Indus Motors and Atlas Honda, in the car range; Millat and Fiat Tractors; and Yamaha and Suzuki Motorcycles in the motorcycle range. Although the automobile industry, on the whole, has a production capacity of approximately 100,000 units, current production levels hover at about 40,000 units. The auto industry has been blaming the government policies for the slow growth and the high rate of duties and tariffs. These include the duties put on the imported CKD kits and other parts, and the Capital Value Tax. The industry has also suffered from the Prime Ministerís Transport Scheme in the past. Additionally, as most of the spare parts and inputs are imported, the rising costs of manufacture, due to the Japanese Yen, are a further cause of concern. The target market of the industry consists mostly of the middle, the upper middle and the upper segments of the society. As such, Pak Suzuki Motors deals with the middle-income segment of the market, while Honda and Indus Motors produce luxury cars to cater to the high-income segments of the target market. The second-hand car market is also highly developed due to the widespread availability of spare parts, and also due to the presence of both qualified and amateur mechanics, who provide good quality after-sales services. Therefore, as people are experiencing a decline in their purchasing power, due to increasing levels of inflation, they usually prefer dealing in the second-hand market. As mentioned earlier, the entire industry depends on international suppliers for spare parts. A limited number of spare parts are available locally; however, there have been complaints of low quality and sub-standard parts. The government, in 1994, banned the import of second-hand cars in order to provide the local industry with an incentive to improve production. However, it laid a condition that the local manufacturers would substitute foreign parts with local ones, gradually, over a period of time (the Deletion Programî). Even though most of the manufacturers, at that time, submitted their plans for increasing the levels of indigenization, none have actually implemented them successfully. Process innovations are rare, while product innovations take the form of slight changes in the modelsí shapes and accessories. A combination of strategies is in play in the automobile sector. For example, Pak Suzuki follows cost leadership, in its production and other areas, while Indus Motors and Atlas Honda depend on differentiation to promote their sales. As the industry is a competitive one, most of the players do not resort to prior announcement of their moves out of fear of swift retaliation. As such, companies usually advertise their moves after they have taken place. However, all the firms feel united when it comes to government-imposed tariffs and duties, and the lack of incentives. In the future, there are very bleak prospects for entry, due to the high initial capital investment that is required, and also due to the sorry state of the industry. The auto industry, internationally, is thriving due to its high returns on each unit that is sold. Also, everywhere in the world, we are experiencing a hike in the level of population, which is further promoting the need for transportation. However, in countries like America, public transport is not as prevalent as it is in Europe, therefore there is a higher demand for private transport. Cars and mini-vans are the norm of the day. A major portion of the international auto industry is concentrated in Japan and USA. Japan has various automobile companies like Honda, Toyota, and Mitusibishi, while USA’s main strength in the auto sector is General Motors. General Motors internationally deals with 30,000 suppliers which has contributed to it profits immensely. Germany is a prime location for U.S. automotive suppliers intent on establishing or expanding an international presence. With the recent uncertainty in Asian markets, it is a good time for U.S. suppliers to reassess a presence in Germany, the key economy in the European automotive industry. Combine Germany’s market potential with the benefits of far-reaching reform in the business environment and the country’s productive workforce, and Germany is unquestionably one of the most attractive foreign markets for U.S. companies considering global expansion. Due to increased demand for automotive vehicles in the early and mid-1980s in India, the local internal engine parts market has hit a tremendous growth spurt, and is expected to continue its rapid growth throughout the forecast period 1997 to 2004. The Indian Automotive Internal Engine Parts Market generated revenues of $423 million in 1997. It is forecast that by 2004 the internal engine parts market will be worth a staggering $1.2 billion, with an annual growth rate of 16 percent. Manufacturers are expected to increase their manufacturing capacities by 50 to 55 percent by the year 2000. Because the replacement market is so price sensitive, spurious components manufacturers now claim about 40 percent of the entire replacement market for internal engine parts. Spurious parts consist of cheap substitute raw materials that cost 30 percent of the original parts. Also, most spurious manufacturers do not incur heavy overhead costs because the business is so small, which allows them to sell their products at 40 to 45 percent of the original products. The Indian internal engine parts industry may also face stiff competition from global component manufacturers. Multinational manufacturers are expected to enter the country by forming a tie-up with their Indian counterparts, which will cause a shakeout in the domestic market. All the automobile industries in the world consistently aim at introducing new models annually, something that appeals to all customers. However, despite the intense rivalry over price, quality, style it is believed that customer loyalty is prevalent especially in most foreign countries. A situation that some believe is creating new barriers between nations is the attack by environmentalists on the auto industry. There is possibility of the initiation of a new “global warming” treaty that could affect the auto industry and the motoring public. Environmental concerns have long been a “hard sell” to the auto industry, and also to consumers. Ever since auto emissions became an issue back in the 1960s, both the industry and motorists have initially resisted most efforts to control it. There is no greater boundary facing the industry today, than environmental impact. In Asia, emissions are expected to double again by the year 2000. The automotive industry in Japan is a comprehensive industry supported by an extensive variety of interrelated industries in each stage: production, sales, distribution, and utilisation. It is one of Japanís key industries and exerts a tremendous cumulative effect on the overall economy. Domestic sales in the first half of 1996 totalled 3,560,000 units. This marked the second year of growth, although the rate of increase is modest. Recovery of automotive demand is also seen in the second half since the economy is gradually improving and replacement demand is being stimulated by the marketing of many new models. Exports in the first half of 1996 stood at 1,810,000 units, down 12% from the same period a year earlier and posting a decrease for the fourth year in a row. Production in the first half of the year 1996 stood at 5,090,000 units, down 4.3%. A small increase in the domestic shipments was nullified by the double-digit decline in the exports. Although exports will not be impressive in the second half, production, is expected to pick up response to a steady rising trend of domestic shipments. The average vehicle life in Japan is considerably shorter than in the US and Europe. Japanese average annual vehicle mileage is much less than in Europe or US. 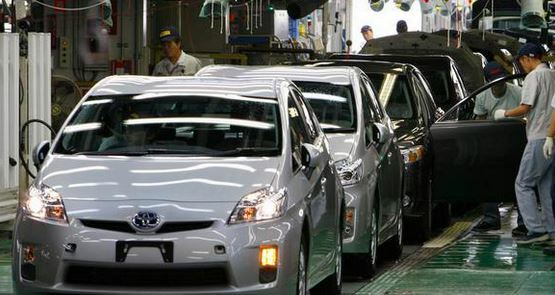 The OEM quality of vehicles and their components in Japan is extremely high. In 1995 and 1996, Japan’s Ministry of Transport announced deregulatory actions as stipulated in the US and Japan Automotive Framework Agreement. These actions, while less than the US government and industry had hoped for, have to a degree expanded opportunities for US firms in Japan’s more than USD 60 billion-auto part replacement market. All of the above factors contribute to generally favourable conditions for a US manufacturer wishing to become an independent parts supplier to the Japanese after-market. Certain market segments or product lines appear to have more latent potential than others do. The largest car manufacturer in USA is General Motors. General Motors has been facing declining demand in the past few years for a few of its makes like Saturn etc. The company is taking certain steps to improve its competitive position via better service and pricing. As the largest U.S. exporter of cars and trucks, and having manufacturing, assembly, or component operations in 50 countries, General Motors has a global presence in over 190 countries. Along with designing, manufacturing, and marketing of vehicles, General Motors has substantial interests in telecommunications and space, aerospace and defense, consumer and automotive electronics, financial and insurance services, locomotives, automotive systems, and heavy-duty automatic transmissions. Chrysler Corporation, another established manufacturer, plans to re-enter the natural gas vehicle market in the fall of 1998, but with fewer vehicles than when it exited the business almost two years ago. Chrysler suspended natural gas vehicle production at the end of the 1996 model year, citing the high cost of storage tanks and low sales. Chrysler had sold about 4,000 natural gas-powered vehicles since 1992 when it stopped the program in late 1996. Chrysler plans to offer the natural gas package at a lower price than for previous models because of advances in fuel storage technology about 13 percent to 46 percent more fuel than earlier models. Ford Motor Company has also sold 2,560 natural gas- and propane-powered vehicles in the 1997 model year. Therefore, Ford is looking forward to the expected competition form Chrysler. As such, all over the world, major automobile manufacturers produce a variety of models to cater to their different target markets. A key to success is differentiation, not only in the external make-up of the car, but also as far as the internal accessories are concerned. Many companies have also successfully completed backward and/or forward integration. The South Asian country of Pakistan gained independence following the partition of the Indian subcontinent and the end of British rule in 1947. Since then, the country has remained poor and a huge recipient of foreign aid. Much of this aid has been squandered in economically useless projects, and Pakistan has been unwilling to adopt significant economic reforms. Transportation equipment, vegetable oils, animal fats, and chemicals are all a part of Pakistan’s economy. The major cash-earning industries are: Textile, Ready made garments and hosiery, leather, fish and preparations, carpets and rugs, sports goods, and surgical instruments. Import partners: Japan, US, Germany, UK, Saudi Arabia, South Korea, Malaysia. Major crops: Cotton, rice, wheat, sugarcane. Other crops: maize, millet, pulses, barley, oil seeds, sugar beets, potatoes, onion, and tobacco. Energy sector: 2/3 of power is generated through hydroelectric plants, mainly from Tarbela Dam and Mangla Dam. Pakistan continues to be the major illicit producer of opium and hashish for the international drug trade; remains world’s third largest opium producer (160 metric tons in 1994); major centre for processing Afghan heroin and key transit area for Southwest Asian heroin moving to Western market. Many consumer goods have extremely high tariffs, which encourages smuggling. Thus Pakistan has a substantial black market in such items as consumer electronics and recorded music. Privatisation of large public sector utilities began in 1994 with the sale of 12% of the Pakistan Telecommunications Corporation (PTC) and the Water and Power Development Authority (WAPDA); the sale of state-owned banks and other large units are planned for 1995. Still, the government had to cope with long-standing economic vulnerabilities – high levels of debt service and defence spending, a small tax base, a huge population, and dependence on cotton-based exports – which hamper its ability to create a stable economic environment. In addition, Pakistan’s infrastructure is inadequate and deteriorating, low levels of literacy constrain industrial growth, and increasing sectarian, ethnic, and tribal violence disrupt production. In order to strengthen the market infrastructure and encourage liberalization of the regulatory mechanism of the government, the government of Pakistan announced a comprehensive package in May 1997. Also, the policy of the government as announced in March -April 1997 exhibits a macro economic policy stance which would reduce inflation in the next year. During 1996-97, in spite of a great decline in CBR revenues, a rigorous attempt was made to control public expenditure and to control the budget deficit. According to the formula, the aim was to bring down the fiscal deficit to 4 percent of GDP in 1996-97. To subdue inflationary pressures, the government took various measures, such as cutting down on expenditure, steady dispersion of necessary commodities, and an attempt to reduce imports. During the year 1996-97, the balance of payment came under strain. The total imports grew by 1.5 % during July-April 1996-97 but exports increased only by 1.1 %. As such, the trade deficit has deteriorated by 2.4 percent. The slow expansion in the exports is mainly due to a decline in the export of raw cotton crop. The improvement of the existing roads network as well as construction of new highways is being given serious thought by the authorities. Many of the business activities are being hindered by either the lack of roads, or the dilapidated state of the existing roads, even in large cities like Karachi. The Lahore -Islamabad (339km) was constructed and opened to public a few days ago as the part of a plan to making travelling from the South to the North of the country much simpler. The second segment is the Islamabad – Peshawar Motor way, completion of which will provide fast access from Peshawar to Lahore. During 1995-96,the GDP growth rate was estimated at 4.6 percent. During 1996-97, it declined to 3.1 percent as a result of the problems that most agricultural crops and large-scale manufacturers – that contribute nearly one fourth of the economyís total value added ñ had to bear. From an increase of 7.2 percent in 1995-96 the major crops dropped by 4.5 percent. Cotton, Sugarcane and Wheat showed a decline in production for a number of reasons: curl virus and fly attack in case of cotton, severe frost in case of sugarcane, prolonged drought followed by ultimately wet spells in case of wheat. This was due to the fact that net factor income from abroad fell, along with a decline in home remittance. Enhancement in the living standards of the population, is the ultimate objective of the government framework of policies. The process of economic growth which emphasizes only GNP maximization, can lead to uneven distribution of income which, when allowed to persist with an ever-growing deprived segment of population, can – in the long run – culminate in lower growth. Government policy has therefore been to maximize GDP growth aligned with equity objectives. Inflation and GDP growth are the two most important factors affecting income distribution. As such, the poor of the country have very meager chances of improving their status if such conditions persist. During the 1996-97, the price situation remained in tension. Both cost push and supply side factors were instrumental in pressurising domestic prices. Devaluation of Pak. Rupee, revision in sales tax and excise duty and an increase in the utility tariffs, raised the cost of production while sore domestic production restricts availability in the local market. Recently, there have been protests by businessmen regarding the newly enhanced General Sales Tax. The challenges that Pakistan faces are to achieve and sustain a high pace of economic growth in order to reduce unemployment, and to shift to a better quality growth through the eradication of poverty and improvement of the literacy rate, access to basic health services, and other key social indicators. The IMF has always maintained a very close and productive relationship with Pakistan. Given the institution’s mandate, the focus is collaboration in the promotion of macroeconomic and institutional conditions, which would enable high economic growth in the context of price stability and balance of payments sustainability. In this context, the IMF has provided important financial and technical support in recent years for fiscal reforms, financial sector reforms, and liberalization of the exchange and trade system. These reforms have comprised, among others, expansion in the coverage and modernization of the General Sales Tax (GST); the introduction of market-based instruments of monetary management; the abolition of direct credit controls; the reduction in the scope of concessional and mandatory credit schemes; a substantial lowering of the maximum import tariff rate (which stood at about 100 per cent at the beginning of the decade); and the elimination of restrictions on the provision of foreign exchange for all current international payments. In the same way, the World Bank has taken the initiative to improve the social conditions in Pakistan, by providing not only financial aid but also technical assistance. As such, it has tried to raise the standard of living in the country by dealing with issues such as education for women and an improvement in the health services offered in the country. To cater to the structural imbalances in the growth process, (the country has lagged behind many other countries of the region), an extensive Social Action Program (SAP) is under operation since 1992 to. It involves basic health, primary education, population welfare, and rural water supply and sanitation. From 1993-1996,its Phase-1 has been completed. A four Year SAP Phase 2 (1996-2000) has been started by the government. Total expenditure under SAP 1 was Rs 106.3 billion. Donors, like IMF, provided only 12.3 percent. The automobile industry in the country has not been developed according to the country’s demand for road vehicles. Several industrial units were set up but vanished after some time due to unplanned development and manipulations of the foreign principals on whom the locals were very much dependent. More than 80 billion rupees have been invested in the industry, particularly its mechanical equipment sector where more than 175,000 workers are employed. The output of the industry has been fluctuating from year to year, though it has been on the increase during the last few years. National Motors, a public limited company which is said to be the pioneer in the industry, came into existence in the 1950s. Established by General Motors of USA in 1953, National Motors assembled passenger cars as well as commercial vehicles carrying General Motors brands such as Bedford, Vauxhal, Chevrolet and Holden before being bought over by Pakistani entrepreneurs. It was subsequently nationalized and was once again bought over by Ghandhara Industries Limited. A regular car industry started in the country in 1983 with the introduction of Suzuki car with the commitment of providing an affordable car for the middle income group which constituted the larger segment of the society. Like other industries, the development of automobile industry, too, depended on persistent government policies. Any sudden changes in the official priorities certainly affect the long-term planning of an industrial sector. This is particularly true of the automobile industry where production units require heavy amount of capital investment and long-term commitment. The automobile industry which has been in operation for more than a quarter of a century now, is still unable to solve its own problems due to what the players in the industry called ‘inconsistency’ of the government policies. Atlas Battery was incorporated in 1968 with a capital of Rs. 3 million, which has grown to Rs. 23 million currently. The company is, as the name implies, involved in the manufacture of batteries. Atlas Battery is rated A+ by credit rating and other evaluating agencies and is also ranked 46th among 577 industrial companies listed on the KSE (Karachi Stock Exchange). The installed capacity at the plant is 1,350,000 units per annum. The company is working with technical help from the Japanese Battery Company. The company has been badly affected by the unabated smuggling through the Afghan Trade Transit. Also, we once again see that the government is stifling its own local industry by such detrimental policies, as the double taxation of the battery industry. First they are taxed on batteries that they produce, and then also on some of the parts that are used in the manufacture of the batteries. The company has nevertheless been able to achieve profits. The increase in profits over the years has been primarily because of the increase in prices and second due to the marginal increase in sales. The firmís management, however, associates its profits with a better sales mix. Atlas Battery has shown varying trends in its profitability. As such, the company has given out dividends during the years 1993 and 1997 only. The imminent problem faced by Atlas Battery, currently, is that of devaluation. This is the single most important factor for the entire industryís manufacturing concerns, as none of the units are self sufficient in their raw material needs. Allied Motors was incorporated in the year 1982. The company has been engaged in the sale as well as the manufacture of tractors. It is located in Karachi. The company has ceased its operations and currently is trying to get it back into operations. Allied Motors has posted losses for the years 96 and 97, plus the fact that the company has not paid any dividends for the past five years, and thus has been added to the defaulter list of the Karachi Stock Exchange. The KSE has given the company two years to rectify its position. The management of the company is trying to get new contracts with foreign firms. The tryout of vehicles from China, and the inspection by a European delegation of local production, gives some food for thought. The management is trying to sell off the leftover units of Agri Motors. By looking at the Sales and Cost of Goods Sold figure of the company one gets the feeling of the non-serious attitude of the management. The Sales figures are half that of the Cost of Sales. Such irresponsible attitude of the management has left the company in doldrums. The Indus Motor Company came into existence in 1992 with a joint agreement between the Toyota Motor Company and House of Habib. The agreement outlined the production of the Toyota range of automobiles. Indus started with the manufacture and assembly of Corolla ranges, starting with XE, GL, and GLi versions and subsequently expanding into XEG, 2.0D, and now into the production of Hilux vehicles. The plant is located at Port Bin Qasim with installed capacity of 20,000 units per annum. However the company is currently producing a little over 5,000 units per annum. The main hurdles to the performance of the company have been the imposition of duties on the CKD kits and the devaluation of the rupee. An additional factor to consider is the introduction of two main competitors to the Corolla range of products: Nissan Sunny, manufactured by Ghandara Nissan and Honda Civic, produced by Honda Atlas Motors. Another hurdle for the company, in the past, was the repercussions of the Yellow Cab Scheme. The cars stocked by the vendors have now dissipated and thus the demand for better cars seems to be flourishing. The company has also test-marketed the Toyota RAV 4 and is considering the manufacture of this vehicle. The main demand for the Toyota Corolla cars has been in the urban areas, especially Karachi, Lahore and Islamabad, while the Hilux has been popular in the northern areas. Indus Motors has been at the forefront in the deletion program and the process of indigenisation. The company has setup Quality Control Checks over vendor assistance and thus is able to maintain the quality of the product and its parts throughout the production process. Indus is also moving towards computerization of its departments. The computerization of the Manufacturing Department and of the Financial Department has led to a better synchronization and integration between departments and thus towards a more efficient plant. Indus Motors has continued to show consistent profits for the number of years it has been in operation, except for 1995, where it has shown a slump in sales and thus in the profits as well. The stock price of the company has fallen considerably in the past few years. However, its earnings per share have continued on an upward trend. The only problems faced by this company, and similarly other local car manufacturers, has been the imposition of the regulatory duty on the CKD kits and the CVT (Capital Value Tax). There is, however, the persistent threat of opening of the used cars market, which so far has been tied down. Nissan Diesel Limited was incorporated in 1986 by a joint venture between the Nissan Company Japan and Ghandara Pakistan. The company has two sister concerns, namely Ghandara Nissan Limited and Ghemni Leasing Co. Limited. The plant is located at Port Qasim, right next to its affiliate Ghandara Nissan. The production capacity of the plant cannot be determined as this depends upon the relative production of the various types of trucks and bus chassis. The company has bounced back after the mid-term setback in 1994 and the losses carried forward to the years to follow. The company once again showed profit in 1997. Nissan Diesel — like every other in the Auto and Allied Sector, which is engaged in the manufacture and production of vehicles — faces the problem of the opening of the used cars market, along with the taxes levied on the CKD kits which are imported, and the CVT (Capital Value Tax). In spite of all the ailing factors that seem to surround the automobile industry, the company has improved its efficiency by producing more trucks and buses in the 12 months of 1997, than in the past 18 months of 1995-96. The company is moving away from the CBUs (Completely Built-up Units). Nissan Dieselís success lies in the close knit relations of the Labor and Management. This is where the Japanese system of management comes into play, where everyone is treated as an important person in the company and is consulted before making a decision. The companyís main competitor is Hinopak Motors. They too are engaged in the manufacture of Heavy Transport Vehicles. Thus the future prospects for the company look bright and there is hope for the continued support by the government towards the local manufacturers. Millat Tractors was incorporated in 1967, with a subsidiary company Bolan Castings, which was incorporated in 1982. The company has its plant located in Punjab where there is the greatest demand for tractors. The greatest competitor of the tractor manufacturers, in Pakistan, has been not other companies, but again the government policies. This time it was in the form of the Awami Tractor Scheme. Under this Scheme the CBU (Completely Built-up Units) of tractors were imported without payment of any duty, whereas the local manufacturers had to face the crunch. This is because the local manufacturers had to pay duty on the parts that were imported, and therefore they became less competitive in a particular time period. During the Awami Tractor Scheme there were reductions in order bookings of up to 42%. But at the same time, Millat Tractors was able to capitalize in the rest of the market and thus bagged 60% of the market share. Due to the Awami Tractor Scheme the company had to postpone its plans for investment into new, better quality measures and had to engage in the increase in the supply of the local content of tractors. A new concept of Cellular Manufacturing was introduced with the collaboration of Massey Ferguson, which aims at the creation of small units within the organization. The company has recently bought 207 Generators via contract from PTCL (Pakistan Telecommunication Company Limited). A contract was signed with Sang Yong Motor Company of South Korea on August 28,1997. This South Korean firm is a technologically advanced firm that works with the technical assistance of Mercedes Benz of Germany. Further assistance provided to Millat Tractors was from Beijing Forklift Company of China. Millat Tractors has not shown a single year of loss for over a decade, thus proving its strength. It was able to sustain the after effects Awami Tractor Scheme. A country like Pakistan — which has an agriculture based economy, and is still not able to produce its own food, and has to import it from others — should try to exploit the clandestined treasures of this rich nation and capitalize on those few characteristics. Thus the tractors industry is doing a lot to help improve the machines, but the people are not able to exploit its true potential. The Pakistan Suzuki Motor Company Limited was incorporated in August 1983 as a Public Limited Company, in accordance with the terms of a joint venture agreement between Suzuki Motor Corporation, Japan and Pakistan Automobile Corporation ( PACO ). The actual formation of the company took place after the taking over of the Awami Autos Limited Company along with its facilities. Though the company was formed in 1983, but actual production commenced in January 1984 with a distinct and foremost objective of progressive manufacturing, assembling, and marketing of cars, pick-ups, vans, and 4 x 4 vehicles in Pakistan. Formerly, the plant was located in West Wharf, but later shifted to Bin Qasim. The foundation stone laying ceremony of the companyís green field automobile plant at Bin Qasim was performed in early 1989 by the then Prime Minister Ms. Benazir Bhutto. The first phase of the plant was completed in early 1990, and on completion the in-house assembly of all the Suzuki engines started. The completion of the plant took two years, and after its completion the production of new 3-box 1300cc Margalla Car commenced. Currently, the entire range of Suzuki cars that we all see in Pakistan are being produced at the Bin Qasim Plant. The company was privatized in, and placed directly under the Japanese Management, in September 1992. During the phase of privatization the Suzuki Motor Company increased its equity from 25% to 40%. Along with the increase in the equity base the company also increased its investments. As of June 30, 1996 the share holding of Suzuki Motor Company stood at 67.2%. This led to a progressive change in the company as it purchased further share holding from Pakistan Automobile Corporation to make its share holding 72.8% and acquired the remaining shares also and as a result of this the deal between Suzuki Motor Corporation and Pakistan Automobile Corporation came to an end. Since privatization, Suzuki Motor Corporation has brought in foreign investment equivalent of about Pak. Rs. 991.75 million. Over a period of time the company has developed an effective and comprehensive network of sales service and spare parts dealers who cater to the needs of the customers and render effective after sales services country-wide. It has achieved 59% of indigenization in its main product, the four seater 800cc Mehran Car. Pak-Suzuki Motor Corporation is serviced by at least 200 active vendors who are engaged in the local manufacture of and supply of the automotive parts to the company. 5) Final Assembly and Inspection Shop. Honda Atlas Cars was established in 1994 as a joint venture between Honda Motor Company Limited, Japan, and Atlas Group of Companies, Pakistan. The company is listed on Karachi and Lahore Stock Exchanges and its principal activity is the assembly and progressive manufacture and sale of Honda vehicles. The company commenced commercial production in July 1994. Atlas has a long association — of over 30 years — with Honda as a successful venture, and as a trendsetter of business collaboration in the motorcycle industry. The experience gained thus prompted the two sponsors, Honda and Atlas, to go in for motor car project as well. The joint venture agreement for the car manufacturing in Pakistan was signed in August 1992. Three other agreements were also signed simultaneously with Messrs. Honda, Japan: Honda, Philippines and Honda, Indonesia, which covered the transfer of technology and also the R&D at Honda, Japan. The plant has the capability of producing 5,000 cars on single shift basis and 10,000 units on double shift basis. The first car was rolled off the production line on May 8, 1994. The company went into commercial production in July 1994. Since then, the company has been catering to the overwhelming demand of the customers and has continuously increased its market share which was nearly 40% by the end of the first quarter of 1997, being the highest among its class of cars. The company was able to produce its 10,000th unit on Aug 11th, 1996 and continue to improve the production capacity. Traditionally, both the old Civic and new model ì CITYî have been promoted as luxury sedans; however, Honda had introduced the ìCITYî as a hybrid, a cross between a sports car and a luxury sedan. It had the soft ride, the fuel economy and the price level of a streetcar and at the same time it had more pep and the lines of a sportier more energetic fun car. This not only improved the acceptability of the CITY but also caught the attention of young executives who wanted the pose of the sedan to reflect their position, and to express the fire and vitality in their personality. A number of dealers in Karachi were of the opinion that the demand for CITY was outgrowing the older models of the Corolla and Honda Civic. Some dealers attributed Cityís success to its better styling, and thought that Corollaís new model and old civic was simply not as flashy. The ban slapped on the import of used cars, two years and older, under personal baggage/ gift scheme by overseas Pakistanis, in February 1994, and the price deregulation later the same year, gave the local auto assemblers a complete monopoly to dictate the prices of the automobiles. The ban and the price deregulation completely erased any sense of competition as three major auto assemblers of the country ñ namely Pak Suzuki, Honda Atlas Motors, and Indus Motors all produce different models which are not in competition with each other. For example, Suzuki assembles relatively lower price vehicles of 800 cc to 1300 cc, Honda assembles a single 1500 cc model, while Indus assembles models ranging from 1300 cc to 2200 cc. The decision to continue the two year old ban on the import of reconditioned cars was taken by the ministry only after the promise made by the local assemblers to bring the prices of their products in line with the purchasing power of the buyers. Contrary to that, the prices of various makes of cars have increased between Rs. 25,000 to Rs. 60,000 within the past few months. A Suzuki Alto/Mehran which was introduced at Rs. 125,000 initially (in 1989) is currently priced at Rs. 275,000. The changes in the law banning the import of used vehicles over two years old had helped generate a market for locally produced medium sized cars. Honda and Toyota have already successfully entered the market, and others are ready to follow. However, around April 1998, the government has exposed the automobile industry to a potential risk of virtual annihilation as the authorities plan on legalizing some 50,000 smuggled vehicles, through the tax rebate and waiver scheme, that is currently being advertised by the CBR. The scheme expires on May 31, 1998. Under the scheme, the smugglers have to pay only normal duty on the vehicle which will be far less than on the old models. The 100% fine has been totally waived. This scheme will prove to be the second blow to the auto industry after the Yellow Cab Scheme which introduced around 25,000 cars into the country, virtually duty-free. The current move is part of a scheme to collect maximum revenue in customs, before the last quarter of the fiscal year 1977-97. The bulk of the smuggled cars are already being driven in far-flung areas, which are located at some distance from the retail markets. The Prime Ministerís scheme has had a severe effect on local assembly during for the three or four years following the implementation of the scheme. However, both production levels and profits recovered eventually. Most companies showed losses during the previous years. However, growth has been substantial since the scrapping of the scheme, with the introduction of new models. Nonetheless, the Prime Minister’s Transport Scheme adversely affected the industry. Following suspension of the scheme there was uncertainty in the minds of the buyers who had participated in the scheme and were yet to receive their vehicles. What made matters worse for buyers was the levy of 15% sales tax on trucks and buses in the latter part of 1993, and increase in duty on CKD kits of trucks and buses from 5% to 30% in 1994. Added to this was the steep rise in the Japanese Yen. All these factors combined to increase the prices of vehicles, thus creating customer resistance. Additionally, the overall economic depression and the law and order problem in Sind, and particularly in Karachi, further depressed the market to such an extent that sales of all truck-assemblers were reduced by almost 80% of the normal annual sales. The Finance Bill for the fiscal year 1995-1996, however, announced the reduction of duty on CKD kits from 30 % to 20%. The largest problem over the last few years has been the ever strong Japanese Yen, which has resulted in the intermittent increases in the prices of completed cars. This is because the imported parts, which are mostly obtained from Japan, have become expensive with the passage of time. Assemblers partially blame government policies for this problem. They believe that the costs of imported inputs rises further due to the tariffs that also have to be paid by the local assemblers despite payment of extremely high costs for the inputs anyway. Local inputs are rejected on the grounds that they are not of good quality or standards. The industry, at this point in time, does not face any international competition due to the ban, imposed by the government, on reconditioned cars. However, some foreign cars which cater only to the upper segment of the society are being imported on a very limited scale. This factor, as such, is not a threat to the local manufacturers because they (local manufacturers) do not cater to the same segment of the society. Even though the Auto and Allied Industry of Pakistan is reaping huge profits — despite the slump economic conditions — it might face international competition in future, due to the WTO agreement to which Pakistan has consented to. The second-hand market is heavily concentrated because of lower purchasing power in many of the buyer segments, who therefore, can afford older cars only. Also, the law and order situation compels buyers to purchase second hand cars, which are quite inexpensive as compared to the new automobiles. New automobiles have a risk of being stolen or damaged in the frequent strikes, especially in Karachi. The resale value of the new cars is quite high, therefore there is an inclination on the part of the consumers towards the purchase of the older cars. However, over the past few months a downward trend in the prices of second-hand cars is being experienced. The availability of spare parts at cheaper prices, due to which people are able to replace their engine or other parts easily, and are thus able to run cars for longer periods of time, is the main reason why this market still exists with vigor. Also, all over Pakistan, there are both qualified and unqualified mechanics offering their services for car repairs and maintenance. This factor helps in increasing the life of older cars. The basic raw material for every manufacturing concern in the auto and allied sector is the CKD units. These are actually parts that have either to be painted and or bolted together. CKD stands for Completely Knock Down kits. There are two parts to any single car manufactured. One is mechanical while the other electrical. In newer models the electrical section takes up a lot of time. The level of indigenization is very low. Thus, there is primary reliance on the CKD units. Most suppliers are situated in foreign countries, particularly Japan. Even though certain local suppliers (known a vendors) do exist, they have often been accused of supplying sub-standard spare parts. The cost of inputs has constantly been on the rise which has, in turn, resulted in ever-increasing prices of automobiles in the local market. However, international suppliers have a captive market in the Pakistani auto industry due to the limited presence of suppliers and high switching costs. As such, purchases are concentrated in a number of vendors due to which local manufacturers have limited leverage to dictate their terms to suppliers. Local manufacturers also provide very little threat of backward integration to the international and local supplier communities, which further worsens the industryís bargaining power. Also, it is important to realize, that most companies in Pakistan are supplied spare parts by their parent companies and therefore they obtain the parts on substantial discounts. Suzuki is the first manufacturer to have a press shop. The moulding of steel sheets to make car body parts is the main purpose of this shop. The paint shop has new processes. To our knowledge Honda, Indus, Suzuki, and Ghandara Nissan use electrolytic processes to put the basic coat of paint, thus sealing all possible leaks. New testing equipment is used for complete overhaul of the vehicle. Suzuki has an automated line where the vehicle moves by sensor system, thus no manual pushing of the cars takes place. From a non-existing industry at the time of creation of Pakistan in 1947, the automobile industry is now producing around 40,000 cars and commercial vehicles per annum. The local content of the vehicles produced ranges from 45% to 80% in cars and commercial vehicles. The automobile is one product, the manufacture of which encompasses a wide spectrum of manufacturing facilities and technologies. At the upstream level, these include manufacture of high grade alloy steels, aluminum and non-ferrous alloys, plastic raw materials, glass, chemicals, including paints and lubricants, and capital goods such as machine tools. On the ancillary ships, pressure die-casting, precision machinery, sheet metal presses, plastic molding, rubber products, electrical and electronics, hydraulics and pneumatics and miscellaneous other facilities required for the production of fitments and accessories. A sizeable investment per unit (both foreign and local currency). Long gestation period for attaining technological and production efficiency. Comparatively lower margin of return and expected losses in the initial years of operation. High pace of technological development in the world creating short life cycles of products/processes necessitating technical tie-ups. Non-acceptance of second quality goods. There has been wide fluctuation in the production of automobiles in the country. The industry was facing crisis in the years 1994 and 1995, when production plummeted to only 16,022 number of vehicles (mainly due to the Prime Ministerís Scheme). Pak Suzuki Motors, Atlas Honda Motors and Indus Motors have set up their plant and are operational. Ghandhara Nissan Limited is setting the facility for production of Nissan range of cars including Sunny at their existing plant at Karachi. The auto industry is basically a down stream industry of Pakistan Steel Mills. It is not surprising, therefore, that most plants presently manufacturing cars — excepts Honda cars — are located at Karachi. The companies undertaking the manufacturing of heavy and light commercial vehicles are Ghandhara Diesel Limited, Hinopak Motors Limited, National Motors Limited and Transpak. These companies are engaged in the assembly of trucks and buses. Completely Knocked Down (CKD) kits are imported, and the vehicles are the assembled locally. The local components are procured from the vending industry. At present there are as many as 12 units in existence. Out of these, seven units are in operation while five have yet to start production. It is sad that capacity utilization in the automobile sector is low at 40 per cent only. Against the capacity of 103,100 cars, buses and trucks only 42,352 units were produced in 1994. After the first phase of expansion Pak Suzuki motors developed a production capacity of 50,000 units, while Indus and Honda Motors have a capacity of 20,000 and 10,000 respectively. Of these three firms, capacity utilization has been the best in Suzuki, and a major contributing factor is the experience that has come with a longer term of operation. Indus Motors would be in a better position to utilize its capacity more efficiently if it would be feasible for the company to expand into the production of LCVs ( Light Commercial vehicles) as well. With the current duty differential of 30 % between CBUs and CKDs, it is not feasible for Indus to undertake the manufacture of LCVs. The local automobile industry does not stand on its own, the development involves other smaller components such as metal, plastic, mechanical and the glass industry. The development of the industry will therefore depend on the development of the input industries. An organized network of these sub-industries plays a vital role in the overall industrial development of the automotive sector in the country. Unfortunately, in the case of Pakistan, every successive government has come to power with its own rather peculiar notion of industrial growth. Different government, have shown different positive signs of formulating a long-term industrial policy. On the other hand, any effort on the part of the policy-marks would go in vain unless it is backed by the expertise of professionals and the extent to which our policy-makers, and the professionals in the auto industry, have been working together in the country has not been very satisfactory. National Motors, the company that first took the initiative of indigenization, was said to have reached above 80% indigenization of the Bedford lorries and trucks it was assembling in the 1960s before the company decided to pack up and leave. Next came ‘Nishan’ a jeep copied on the pattern of Willeys Jeep of USA by the Pakistan Army. Produced at the present Naya Daur Motors site, it was said that the Army had successfully produced about 80 jeeps and were still on trial run when the then Production Minister to Z.A Bhutto put this foot on the idea and thus came the end of it all. When the Suzuki company commenced one of its first international joint ventures in Pakistan about 10 years ago, a pre-condition of the government approval was that the cars produced would achieve about 75 per cent deletion in about 8 years. Since then, the schedule has been revised time and again, with the result that the highest deletion that has been achieved today is in the Suzuki Alto air-conditioned which stands at about 50 per cent. The non air-conditioned version of the Suzuki Altoís percentage of deletion achieved is about 48 per cent. The company has not fared any better in its commercial vehicles either where the deletion rate does not exceed 42 per cent. When contacted, a number of vendors said that with the present infra-structural facilities available the company could go up to 70 per cent in Pakistan. At present, facilities do not exist for manufacture of engine block and head in aluminum, shell bearing of good quality and carburetors, among other parts. A point that goes in Pak-Suzuki’s favor is that it cannot continue deletion if it has to maintain its standards. Pakistan Association of Automotive Parts & Accessories Manufacturers (PAAPAM), formed in 1988 to represent the auto parts manufacturers — or vendors, as they are known — at various government departments, and to provide technical and management cooperation to the members, has not way been completely able to contribute its share to the development of the sector. The Association commands over 180 members with capital over 8 billion Rupees manufacture, for the local assemblers, auto parts such as pistons, engine values, gaskets, camshafts, shock-absorbers, struts, steering mechanism, cylinder head, wheel hubs, brake drums, wheels, bumpers, instruments and instrument panels, gears of all types, radiators, cylinder liners, blinkers, lights, door locks and auto air conditioners. But according to critics in the industry, the Association has not put in enough efforts to take the industry forward, a failure which the Association has blamed partly on the policy-markers and partly on the assembles who have not been encouraging the local vendors as such. The level of indigenization achieved for different makes is provided in the following table. In 1995, the formulas for taxes on import of completely knocked down (CKD) and completely built-up (CBU) units of vehicles were simplified. All the previous import taxes and duties were rolled into one import duty of 30% on CKD kits as well as assembled vehicles. However, the duty on these kits was later reduced to 20%. A sales tax of 15% is charged on the total of the cost, insurance and freight value and import duty. The import duty charged on CBUs starts at 100% and increase with the engine size for passenger cars, while in the case of commercial vehicles it is fixed at 60%. For taxation purposes, the CBU passenger cars have been categorized into four groups. Those below 1000cc are in one group, those in the 1000cc and 1300cc bracket constitute another group, while those in 1300cc to 1800cc are grouped together separately and those above 1801cc are placed in yet another category. The whole industry is now facing uncertainty as a result of introduction of the taxes in the 1996 budget. The sales tax on CBU has been increased to 18% while the 10% regulatory duty stays. In addition to that, a Capital Value Tax (CVT) of 4%, for those who have already acquired a National Tax Number (NTN), and 10% for those without NTN has been imposed, according to market sources. The CVT rates recently introduced to the automobiles sector were also categorized on the basis of taxpayers and non-tax-payers and according to the capacity of the vehicle. A non-tax-payer planning to buy a car of upto 800cc will have to pay 2.5% while tax-payers or those in possession of NTN are exempted in this category. Vehicles falling between 1000cc and 1300cc are subjected to 10% Capital Value Tax in case of non-tax-payers and four per cent in case of tax-payers in the 1300cc-1600cc cars category whereas for vehicles above 1600cc, the CVT is fixed at 15% for non-tax-payers and 6% for tax payers. The result of this increase in prices and the introduction of new CVT will be that the consumers have to pay for it again in terms of another increase in prices, since the latest price increase was just before the budget when the prices rose in the name of rupee devaluation. The auto and allied sector is still in its growth stage. This is evident from the fact that there has been an inflow of companies over the past few years. The companies listed in this sector are, in majority, manufacturers. The companies are growing and are increasing their production due to the availability of excess plant capacity. Thus, they are creating a demand for their cars. Though one or two of the main players in the industry are older than the others, but they certainly do not classify as mature ones. Suzuki seems to be the oldest in terms of manufacturing, also the one with the largest plant capacity and output. The auto industry is in the growth stage, due to the fact that the customer base of the manufactured cars and other vehicles is changing. The consumer may even accept uneven quality. e.g. Suzuki. There are some products present in the auto sector which have a technical edge over the others. e.g. Toyota GLi has an inkjet fuel system and Honda Civic VTi a unique V-shaped engine design. The fact that the industry is in the growth stage is evident from the intense advertising, selling and distribution, which are the key non-technical aspects that are available and that help a particular firm in differentiating. Some excess capacity is prevalent in all the companies. The companies are currently producing at around 40% of total capacity. Product improvement is not prevalent in Pakistan as the companies do not have the money or the patience to wait for a new breakthrough. Very few exports are carried out due to the high costs and also the availability of enough models and manufacturers in the international markets. In fact only one unitís export has taken place by Indus Motors. Nonetheless there are opportunities in the foreign trade market. Many companies have now entered the market and thus the production capacity is more than what is required. Thus demand is less than supply. The existing companies in the auto sector can afford to take the risk of producing a new vehicle because the growth potential will cover it. The brand name speaks for itself and thus a new addition to the existing family of vehicles could be a worthwhile investment. The profits for the manufacturers are very high and this is evident from the fact that Indus Motors operates at 20 – 25% of its capacity and still is able to generate enough revenue to cover its fixed costs and variable costs and still be able to show profits. The segment of the market that the industry targets are the people who have the decision making power in the family. Plus the organizations too are the focus of attention. To buy new and fancy cars has become a trend for the people of today. The more a vehicle will cost the more prestige it will carry for the people. Therefore, the automobile companies usually improve the interior of their vehicles or they come up a new color to attract the customers. The change in the style of the product is initiated by the parent company and thus there is no Research and Development in the local subsidiaries. If there a`re some developmental changes made in the cars, the alterations are minute and do not really contribute towards the firms successes. Buyer segments have become more prudent than ever in purchasing automobiles. Presently, the customers that come to buy vehicles have complete knowledge about the automobile market and thus, are able to properly identify the blemishes of the product. Also, the customer of today is very price conscious. To some extent there has been a reduction of uncertainty because of the government assurance over the used cars market. However, the main problem is that no government stays for long periods of time and thus the future of the sector is bleak. The main reason is that there has been the persistent threat of the used cars market, plus the fact that the trade and tariffs will be removed by the year 2005. Thus the threat of other foreign vehicles also exists. There is no diffusion of proprietary knowledge because the technology is well known and the competitors have their own competitive and technical advantages. The experience comes to the new firms by the top management who are well versed in the profession (only Japanese Managers), as most of them have come from the parent company, or have been in the production of cars for a substantial period of time. There is room for expansion in sale, but demand for the products is not up to the producers capacity. Pak-Suzuki has the largest plant with a capacity of 50,000 units a year. Also, all the major parts are imported, for example CKD kits, and if the prices for these basic raw materials rises, then the prices for the final products will also rise. There, however, is the threat of rise of labor costs. There does not seem to be any major transportation cost dilemma, currently, but we can expect problems in this area as well, as the companies consistently move vehicles from up north to Karachi and adjacent areas. Also, the exchange rate fluctuation with the Japanese Yen can cause a rise in the prices of the raw materials. Product innovation, in its true sense does not apply to any of the auto manufacturers in Pakistan, as most of them simply depend on slight differentiation through additional accessories etc.. There have been only print media ads by the companies, and this does not indicate a high rate of investment in the advertising and media ( e.g. no ads on television ). Additionally, process innovation rarely takes place. Structural changes in the adjacent industries help determine the direction of the auto industry as the companies rely heavily, both on the local manufacturers and the foreign suppliers for their basic components. Deletion rates are still not high in any company. The government is the single-most important factor for the survival of the industry. This is because of massive impact of the devaluation of the Rupee. The imposition of duties on the imports of CKD kits plus the CVT (Capital Value Tax) to be paid to the government, are examples of the type of government policies that the industry is subjected to. A fluctuation in the current price structure could easily lead to wide fluctuations in the profitability of the companies. The entry and exit barriers are very high because of the fact that to start a manufacturing business in the auto sector large capital outlays are required. Additionally, the environment is not conducive for production, with the government popping its ugly head in now and then. The need for trained and experienced staff from Japan will be required. Also, there is uncertainty in the demand for bigger and better cars. The promotion of cars is basically done through the print media, such as newspapers, magazines and business journals. The companies in the auto sector do not show television commercials often, even though world wide there is a trend of advertising cars through both the print and electronic media. However, some advertisements of Honda Civic, Suzuki Margalla, and Suzuki Mehran are shown on television but not very often. Other sources of advertising and promotional schemes include publicity of the cars at the showrooms and through displays at the popular hotels. Sometimes, brochures of the cars are distributed. As cars are high involvement products customers try to get as much information as possible. They want to be positive about their decision before making the purchase. All the manufacturers of cars in Pakistan have their sales and maintenance showrooms in Karachi and other cities of Pakistan. They provide adequate information to the buyers about the different models of cars, including the specifications. Due to increasing competition, the existing car manufacturers are focusing more on promotion and advertising so as to increase their market share. The manufacturers make minute changes or additions in the product so as to promote their makes as better products when compared to other competitive products. The target market for the auto industry includes people from the middle, upper middle and upper classes. Even though the purchasing power most of the target market is on the decline, there is still a great potential for growth in the auto industry. Due to the alternatives available to the customers there is a great deal of competition, especially in the second hand cars market. Therefore, individuals with low purchasing power simply go for the latter option. Another factor, which is important, is the reputation of the car (due to past experiences), and also brand loyalty among the customers. Customers are also price sensitive, particularly in the middle class segment. However, they have succumbed to the increasing prices of the new vehicles. Additionally, durability, and even differentiation to some extent, is extremely important in determining a purchase decision. The buyer is also well informed, which provides him or her with a great deal of leverage. Cost of after sales services. Buyers choice, therefore, broadens due to customer service and features of the cars themselves. The actions related to prior announcement of moves have been displayed by Indus Motors in its pursuit towards diversification of its product line. The announcement of the introduction of the new Diesel 2.0D was a planned and announced move. Likewise, the movement of Atlas Honda — in its attempt to target the middle class of the society-is another example, shown by the announced introduction of the new Honda City. Thus, there have not been any real clandestine moves by the car manufacturers as yet. This is a common market signal that many companies in the auto sector follow. This is because they do not want quick followers, who have the required technology to follow suit. There has been a great deal of debate in relation to the prices of the CKD kits. Thus, we see that the players in the industry are usually crying against the duty structure and the restrictions imposed by the government on the car manufacturers. Thus we see the hidden benefits that the car manufacturers association derives from their appeals and discussions. The divergence from industry precedent has been displayed by Suzuki when it moved from their old plant at West Wharf to Port Qasim. Their production capacity doubled and thus indicating a strong aggression towards the lower end of the market where it has no competitors at present. The introduction of the Honda City has been somewhat of a shock for the cu“`stomers who expect a lot from the company. The new Honda City was a divergence in the sense that the company had always catered to the higher end market in Pakistan. Thus showing the degree of diversification plans of the company in to different target markets. Currently, there is no company that, as such, has the potential to enter into a new business due to restrictions of technological know-how. Also, there is a potential problem with entering the industry due to the high entry barriers that result from the large amount of initial capital investment required in the auto industry. Therefore, there is very little likelihood of new entrants coming into the auto industry. A combination of strategies is used in the auto industry. Pak-Suzuki, for example, follows a strategy of cost leadership as it has efficient facilities, and also has cheap production costs through experience, which it has gained over the past many years. Also, when Pak-Suzuki entered the Pakistani market, its main objective was to cater to the masses. Cost minimisation has also been achieved through a minimal effort put in the advertising and the sales force. These factors have helped Pak-Suzuki to create a niche for itself in the market, as it is the only local manufacturer dealing with the lower middle and middle class segments of the market. Therefore, there are sufficient barriers present for any potential competitor who would want to enter into this segment of the market. Even though cost leadership is followed by Pak-Suzuki, frequent, but minute changes, are brought about to attract the customersí attention. These are in the form of new colours and added accessories in the existing models. Pak-Suzuki also benefits from the high resale value of its models. There are also various auto manufacturers who cater to the upper middle and upper segment of the market. The manufacturers who fall into this category include Honda and Indus. As such, differentiation is the key to success in this segment of the market, as the social classes look more for image and prestige in the car they buy. Therefore new models enter the market or the same model is available with added accessories and features. Another aspect of differentiation is the services provided by the distributors of the company: personal selling, customer service at the POS (Point of Sales), and also after sales services. LOW OVERALL ENTRY BARRIER: There are no low entry barriers because the cost of capital investment is very high. Any single group has not invested the capital outlay, as yet. In fact there have either been joint ventures or companies that are completely owned by the parent company. ABSENCE OF ECONOMIES OF SCALE: There are no economies of scale as most of the parts are imported, thus there is no self-sufficiency. Expensive parts constitute absence of economies of scale. There is no mass production either. High inventory cost or erratic sales are the main stay of this industry. Inventory costs in the auto industry are not exceedingly high, even though they are high to some extent due to imported parts. Also, there have not been erratic sales fluctuations. Most automobile manufacturers do have an advantage they have their own dealership network. Also, the parent companies, in each case, gives an added advantage for the firm. The government plays a very crucial role in the success of the industry. The regulation of deletion targets set by the government, has instigated moves towards self-sufficiency by the manufacturers. However, the manufacturers have so far been unable to achieve them. There are no high transport cost because all the plants are located within the vicinity. Therefore, the transport costs are minimised. The industry will be moving towards growth, as we see that the major players in the industry are competing against each other. Thus we see that the products are being sold at a slower rate as when they were introduced into the country. The introduction of newer companies, or even the introduction of newer models, could extend the growth of the industry. The products now offered by the most of the companies in the industry now have no new models to introduce, but only produce new models with minor variation of the older ones. The buyers are now experienced about the vehicles they buy, and are prudent in their purchasing decisions. The companies such as Indus and Honda are now moving towards service orientation. Thus, we see the sales and service centres of the companies. We now see that after the last major shift in capacity by Pak-Suzuki there really has been no increase in the capacity of the companies. Most companies are operating at a maximum of 60% of their total capacity, which actually only Suzuki has attained, while the rest are operating at not more than 30 % of their total capacity. The marketing of the newer products have induced a change in the marketing of the products. First, they were targeted toward the higher end of the market, but now with the introduction of the newer products which are attractive for the middle income groups the marketing stance for the companies has changed. This is a very important and relevant factor for the industry, as per the deletion targets set by the government. The companies have to look for local vendors for their parts, and thus will have to move towards self sufficiency sooner than they would have liked. Also, the stage is set up for the supply of the local vendors who have a potential problem: they have poor quality or quality that does not fit the criteria of the company. This is a potential problem for the companies who, on one hand, have to look for ways to reduce costs to counter competition and on the other, have to reach the deletion targets set by the government. The traditional motorcycle manufacturers of Pakistan have lost a significant share of the market to comparatively lower priced new entrants, at least as far as Karachi is concerned. Authorized dealers of four new entrants ñ Sohrab, QingQi, Hero and Rocker sold a total of 202 motorcycles in March 1998 while established manufacturers Honda, Suzuki, and Yamaha sold a total of 265 motorcycles, while Vespa was able to market just ten scooters during the same month. The capturing of over forty per cent of the total new two-wheeler sales by the four new entrants who, with the exception of Sohrab, launched their products just about four month ago is welcomed by many a dealer. The entrance of the new manufacturer not only offers price and product choice to the potential buyers but also has a stabilising effect on the motorcycle prices in the long run. Of the new entrants Sohrab has the most dealers seven — followed by five of Rocket and four each of QingQi and Hero. During 1985-95 the motorcycle manufacturers strengthened their marketing and dealer network and enjoyed a good business. However, the prices of two-wheeler witnessed a sharp rise in prices after 1992 and has since doubled. Additionally, the lack of real competition, reduction in purchasing power and an overall high level of inflation resulted in a sharp fall in retail sales. The high cost of two-wheelers — in addition to the ever-looming fear of theft and snatching, necessitating the additional burden of comprehensive insurance — have severely hurt the motorcycle sales in Karachi. The prices of the seven brands of motorcycles, including three traditional manufacturers and four new entrants, ranges between 43,900. The stagnation in the motorcycle industry at present could only be dealt with expansion into leasing facility to the potential motorcycle buyers. Failure to come up with viable marketing plans, particularly on the part of the traditional buyers, whose products are more expensive than the new ones, would result in loss of their complete market to the later entrants. The Indus Motor Company came into existence in 1992 with a joint agreemment between the Toyota Motor Company and House of Habib. The agreement outlined the production of the Toyota range of automobiles. Indus started with the manufacture and assembly of Corolla ranges, starting with XE, GL, and GLi versions and suvbsequently expanding into XEG, 2.0D, and now into the production of Hilux vehicles. The plant is located at Bin Qasim Port with installed capacity of 20,000 units per annum. However the company is currently producing a little over 5,000 units per annum. The main hurdles to the performance of the company has been the imposition of duties on the CKD kits and the devaluation of the rupee. An additional factor to consider is the introduction of two main competitors to the Corolla range of products. These are Nissan Sunny manufactured by Ghandara Nissan and Honda Civic by Honda Atlas Motors. Another hurdle for the company was the repercussions of the Yellow Cab Scheme. The cars stocked by the vendors has now dissapated and thus the demand for the better cars seems to be flourishing. The company test marketed the Toyota RAV 4 and isconsidering the manufacture of the this vehicle. The main demand for the Toyota Corolla cars has been in the urban area especially Karachi, Lahore and Islamabad, while the Hilux has been popular in the northern areas. The company has been at the forefront in the deletion program and the process of inddigenisation. The company has setup Quality control checks over vendor assistance and thus is able to maintain the quality of the product and its parts thoroughout the production process. The company is also moving towards computerisation of its departments. The computerisation of the Manufacturing department and of the Finanacial department has led to a better synchronization and integration between departments and thus towards a more efficient plant. The company has continued to show consistent profits for the number of years it has been in operation, except for 1995 where they have shown a slump in sales and thus in the profits. The stock price of the company has fallen considerably in the past few years. However, its earnings per share have continued on a upwards trend. The only problems faced by this company and similarly other local car manufacturers has been the imposition of the regulatory duty on the CKD kits and the CVT ( Capital Value Tax ). There however is the persistent threat of opening of the used cars market which so far has been tied down. Allied otors was incorporated in the year 1982. The company has been engaged in the sale as well as the manufacture of tractors. 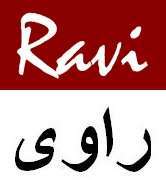 The company is located in Karachi. The company has ceased its operations and currently is trying to get it back into operations. The company has posted losses for the years 96 and 97 to name the very recent plus the fact that the comapny has not paid any dividends for the past five years and thus has been added to the defaluters list of the Karachi Stock Exchange. The KSE has given the comapny two years to rectify its position. Thus the management fo the company is trying to get new contracts with foreign forms. The tryout of vehicles from China and the visit of an European delegation of local production gives some food for thought. The management is trying to sell off the leftover units of Agri motors. By looking at the sales and Cost of Goods Sold figure of the company one gets the feeling of the non-serious attitude of the management. The sales figures are half that of the cost of sales. Such irresponsible attitude of the management has left the company in dolldrums. The company was incorporated in 1968 with capital of Rs. 3 million which has grown to Rs. 23 million. The company is as the name implies involved in the manufacture of batteries.The company is rated A+ by credit rating and other evaluating agencies and is also ranked 46th among 577 industrial comapnies listed on the KSE ( Karachi Stock Exchange ). The installed capacity at the plant is 1,350,000 units per annum. The comapny has been badly affected by the unabated smuggling and the Afghan Trade Transit. Here we once again see the government is stiffling its own local industry by such detremental policies. Plus the added fact that the battery industry is subject to double taxation. First they are taxed on the battery and then some also on the parts that are used in the manufacture of the battery. The company has nevertheless been able to achieve profits. The increase in profits over the years has been primarily because of the increase in prices and secondarily because of the increase in sales. The company associates its profits with a better sales mix. The comapny is working with techincal help from the Japanese Battery Company. The imminent proble faced by the company is of devaluation. This is the single most important factor for our manufacturing concerns as we are not fully self sufficient in our raw material needs. The company has shown varying trends in its profitability. The company has given out dividends in the years 93 and then 19-97, though the company has been profitable throughout. Millat Tractors was incorporated in 1967 with a subsidiary company Bolan Castings which was incorporated in 1982. The company has its facilities in Punjab where there is the greatest demand for tractors. The greatest competitor of the tractor manufacturers has been the not another comapny but yet again the governement policies. This time it was in the form of the Awami Tractor Scheme. Under this Scheme the CBU ( Completely Built-up Units ) of tractor were allowed to be imported with out payment of any duty where as the local manufacturers had to face the crunch. This is because the local manufacturers had to pay duty on the parts that were imported thus became less competitive in a particular time period. During the Awami Tractor Schemet here were reductions in order bookings of up to 42%. But at the same time the company was able to capitalize in the rest of the market and thus bagged 60% of the market share. Due to the Awami Tractor Scheme the company had to postpone its plans for investment into new, better quality measures and had to engage in the increase in the supply of the local content of tractors. A new concept of Cellular Manufacturing was inroduced with the collaboration of Massey Ferguson, which aims at the creation of small units with in the organization. The has recently bought 207 Generators via contract from PTCL ( Pakistan Telecommunication Company Limited ). A contract was signed with Ssang Yong Motor Company of South Korea on August 28,1997. This South Korean firm is a technologically advanced firm who work with the technical assistance of Mercedes Benz of Germany. The assistance provided to Millat Tractors was provided by Beijing Forklift Company of China. A country like Pakistan which is agricultural in nature is not able to produce its own food and has to import it from others should try to exploit the clandestined treasures of this rich nation and capitalize on those few characteristics. Thus the tractors industry is doing a lot to help improve the machines, but the people are not able to exploit its true potential. The company has not shown a single year of loss for over a decade, thus proving its strength. It was able to sustain the after efects Awami Tractor Scheme. Nissan Diesel Limited was incorporated in 1986 by a joint venture between the Nissan Company Japan and Ghandara Pakistan. The comapny has a two sister concerns namely Ghandara Nissan Limited and Ghemni Leasing Co. Limited. The company plant is located at Port Qasim right next to its affiliate Ghandara Nissan. The production capacity of the plant cannot be determined as this depends upon the relative production of the various types of trucks and bus chasis. The company has bounced back after the mid-term setback in 1994 and the losses carried forward to the years to follow. The comapny once again showed profit in 1997. This company like every other company in the Auto and Allied Sector which is engaged in the manufacture and production of vehicles faces the problem of the opening of the used cars market along with the taxes levied on the CKD kits which are imported and the CVT ( Capital Value Tax ). Inspite of al the ailing faactors that seem to surround the automobile industry the company has improved its efficiency by producing more trucks and buses in 12 months of 1997 than in the past 18 months of 1995-96. The company is moving away from the CBUs ( Completely Built-up Units ). The comapny’s success lies in the close knit relations of the Labour and Management. This is where the Japanese system of management comes into play where everyone is treated as a important person in the comapny and is consulted before making a decision. The company’s main competitor is Hino Pak Motors. They too are engaged in the manufacture of Heavy Transport Vehicles. Thus the future prospects for the company look bright and we hope for the continued support by the government towards the local manufacturers. The Pakistan Suzuki Motor Company Limited was incorporated in August of 1983 as a Public Limited Company, in accordance with the terms of a joint venture agreement between Suzuki Motor Corporation, Japan and Pakistan Automobile Corporation ( PACO ). The actual formation of the company took place after the taking over of the Awami Autos Limited Company along with its facilities. Tough the company was formed in 1983, but actual production commenced in January 1984 with a distinct and foremost objective of progressive manufacturing, assembling, and marketing of cars, pick-ups, vans, and 4 x 4 vehicles in Pakistan. Formerly the plant was located in West Wharf, but later shifted to Bin Qasim. The foundation stone laying ceremony of the company’s green field automobile plant at Bin Qasim was performed in early 1989 by the then Prime Minister Ms. Benazir Bhutto. The first phase of the plant was completed in early 1990 and on completion the in-house assembly of all the Suzuki engines started. The completion of the plant took two years and after its completion the production of new 3-box 1300cc Margalla Car commenced. And now the entire range of Suzuki cars that we all see in Pakistan are being produced at Bin Qasim Plant. The company was privatized in and placed directly under the Japanese Management in September 1992. During the phase of privatization the Suzuki Motor Company increased its equity from 25% to 40%. Along with the increase in the equity base the company also increased its investments. As on June 30, 1996 the share holding of Suzuki Motor Company stood at 67.2%. This led to a progressive change in the company as it purchased further share holding from Pakistan Automobile Corporation to make its share holding 72.8% and acquired the remaining shares also and as a result of this the deal between Suzuki Motor Corporation and Pakistan Automobile Corporation came to an end. Since privatization, Suzuki Motor Corporation has brought in foreign investment equivalent of about Pak. Rs. 991.75 million. The Company continues to the in the fore-front of automobile industry of Pakistan. Over a period of time the company has developed a an effective and comprehensive network of sales service and spare parts dealers who cater to the needs of the customers and render effective after sales service country wide. It has achieved 59% of indigenization in its main product, the four seater 800cc Mehran Car. Pak – Suzuki Motor Corporation is serviced by at least 200 active vendors who are engaged in the local manufacture of and supply of the automotive parts to the company. The new plant at Bin Qasim which began in 1992 was then completed in July 1994 and the Company was able to increase its installed capacity from 25,000 vehicles to 50,000 vehicles per year. This increase in capacity was due to the immediate expansion program of the Company at Bin Qasim after privatization. Keeping this in view, the company’s long term plans inter-alai include the tapping of the export markets. Recently the Company acquired a piece of land measuring 30 acres from Pakistan Steel Mills Corporation in proximity to its Bin Qasim Plant to set up production facilities for manufacture of some local components. Debt – The debt side of the company comprises of current and long term liabilities. 2 – International Finance Corporation. Current Liabilities – The current liabilities of the company consist of Bills Payables and other accrued Intrest. It also includes the rebate which is offered on the delivery of cars offered by the company. PSMC is one of the few if not the only company to offer a rebate on its delivery of vehicles. On short-term loans they make use of the suppliers credit. Rebate : The rebate offered by the company is very low i.e. 2% – 3%. This how-so-ever is better than other companies which do not offer any rebate. Equity : The equity side of the balance sheet consists of authorized share capital, issued, subscribed and paid-up capital, reserves and unappropriated profit or loss carried forward. 1992 : In 1992 the authorised share capital was 500000 and there was no unappropriated profit or loss because the actual assembly of the units started in the begining of 1993. 1993 : In 1993 the compant had the same amount of authorised share capital but recorded an accumulated loss. This was due to the fact that their cost of sales were greater than the actual revenue from the sales. 1994 : In 1994 the company had the same amount of authorised share capital. The compant recorded a loss for the second time in a row. The then Prime Minister’s Yellow Cab Scheme seemed to hit the entire car industry, particularly the Suzuki cars. The newer cheaper cars from Korea were being imported duty free and caused a major decline in profits. 1995 : In this year the company continued to show the effects of the Yellow Cab Scheme as it showed signs of the slow signs of recovery. The authorised Share Capital remained the same. 1996 : In this year the company increased its Autorised Share Capital from 500,000 to 150,000,000 ordinary of Rs.10 each. The tangible fixed assets consist of the operating fixed assets which are the plant and equipment of the company. The current assets primarily consist of stores, spares and tools, stocks alongwith cash and receivables. 1992 : Total fixed assets during this period were stable as compared with last year, but there was a drastic increase in 1992 from 1991 due to the establishment of the new facility at Bin Qasim. 1993 : No major change was noticable during this year. 1994 : In this year the company had to face the Yellow Cab Scheme which had a devastating effect on the company’s profits and also its inventory which swelled up because they had to import more and more parts and had to manufacture more cars to sell at very low rates. The company posted an annual loss for the year 1994. 1995 : During this year the company’s financial position was relatively better in the latter half of the year. Tough the company still showed signs of the aftermath of the Yellow Cab Scheme. 1996 : This was a period of relief for the comapny as it posted the first annual profits after three successive years of losses. The total asstes decreased during this year as compared to last year. RIGHT SHARES : The company issued right shares twice, once in 1992 and for the second time in 1994. Both times the shares issued were 100% and the cash generated from those shares was used for the setting up of the Bin Qasim Plant. Now however the company has acquired additional piece of land adjacent to its current plant site at Bin Qasim. BONUS SHARES : The company has till date not issued any bonus shares. The company pays intrest on an its long-term maturing obligations at a rate of about 14% – 15%. The short-term maturing obligations are paid at an intrest rate of about 16.5%. The company conducts a feasibility study for the short-term and long-term loans. Thus the decision of taking the loans depends to some extent upon the intrest rates. The company is also involved in the internal financing. This internal financing takes place through the cash flow from Retained Earnings. The company previously was under government control and thus had to follow governmental orders. However, after privatization the company was able to operate more freely. Before de-regulization the company had to contend with low margins. Now how-so-ever the company is able to set their own prices. The company showed an increase in the long-term liabilities in 1995. This was due to the fact that they had once again opened their booking for the new Margalla GLX and Esteem. They treat their customer advances as long-term liabilities. The company tends to suffer adversely because of the currency market. The stronger the yen, the more costly the item becomes. Devaluation : Devaluation has an adverse efect on the company. Devaluation causes the imports to become costlier and in anticipation of any devaluation the company begins to over stock its supply so as to beat the devaluation. SALES: The sales of the different cars of ( PSMC ) has shown a declining trend as in terms of the number of units sold but has at the same time shown an increase in the revenue of sales. 1992 – In 1992 the number of units sold was 42772, and revenues were in the five million range. The number of units sold showed good prospects for the company. 1993 – In 1993 the number of units sold decreased a little over the previous year, but showed an increase in the revenues. 1994 – In 1994 the company experienced a major decline in its units sold and a reduction in its revenues due to the then Prime Minister’s yellow cab scheme. During this period the company had to assemble a huge amount of its cars which were being sold to the people with almost no profit. This caused the company losses in this and the latter years. 1995 – In 1995 the effect of the Yellow Cab Scheme was wearing off and the company experienced a turn for the better as their units sold increased and their revenues showed an increasing trend. 1996 – In 1996 the the company showed a slight increase in their units sold, but the major change was in the revenues generated which showed a tremendous increase. This is a common market signal that many companies in the auto sector follow. This is because they do not what quick followers, who have the required technology to follow suit. The introduction of the Honda City has been somewhat of a shock for the customers who expect a lot from the company. The new Honda City was a divergence in the sense that the company had always catered to the higher end market in Pakistan. Thus showing the degree of diversification plans of the company in to different target markets. The products now offered by the most of the companies in the industry now have no new models to introduce, but only produce new models with minor variation of the older ones. The buyers are now experienced about the vehicles they buy, and thus are prudent in their purchasing decisions. The industry at this point of time does not face any international competition due to the ban on reconditioned cars imposed by the cars. In future there are very few chances of the ban being lifted. This ban was imposed to support the local car manufacturing industry. However, some foreign cars which cater only to the upper segment of the society are being imported on a very limited scale. This as such is not a threat to the local manufacturers because they ( local manufacturers ) do not cater to the very same segment of the society. The auto and allied industry of Pakistan is reaping huge profits despite the slump economic conditions. It might face international competition in future due to the WTO agreement to which Pakistan has consented to. The market is heavily concentrated because of lower purchasing power of the buyers and law and order situation compels buyers to purchase second hand cars which are quite inexpensive as compared to the new cars. The resale value of the new cars is quite high, thus the inclination of the people towards the purchase of the older cars. The availablility of spare parts at cheaper prices due to which people are able to replace more parts and thus able to run cars for longer periods of time and this is one of the mainstays of the used cars market. The future for the larger car manufacturers is not so bright considering the needs of the buyers of whom some are cost conscious and prefer smaller cars due to fuel efficiency and ease in mobility in the expanding traffic environment. In this context Pak-Suzuki Motors enjoys a monopoly in making smaller cars with fuel efficiency such as Mehran – 800cc and Khyber – 1000cc. The reconditioned car market has been closed for now by the strong lobby by the local manufacturers. But no one knows for certain what the future holds for the reconditioned car market.